EdgeMagic is an RFID software system that simplifies complex challenges in inventory management, visibility, and supply chain logistics. EdgeMagic is an applicable solution at any point in your supply chain – from dock door to selling floor. Need a way to improve your inventory visibility? EdgeMagic is an RFID system that simplifies complex challenges in inventory management, visibility, and supply chain logistics. RFID SOFTWARE FOR INVENTORY MANAGEMENT & VISIBILITY. One RFID software platform. Many solutions. 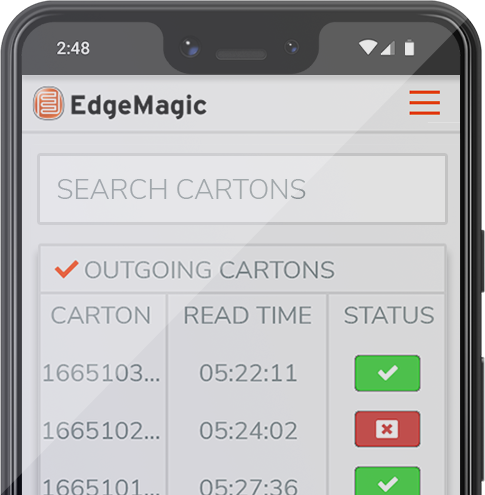 Whether you need to track large amounts of inventory, or you need to ensure inbound/outbound shipping, EdgeMagic gives you a boost in tracking your inventory, goods and equipment. EdgeMagic lets you quickly deploy advanced, industrial strength RFID and barcode solutions without costly custom programming. 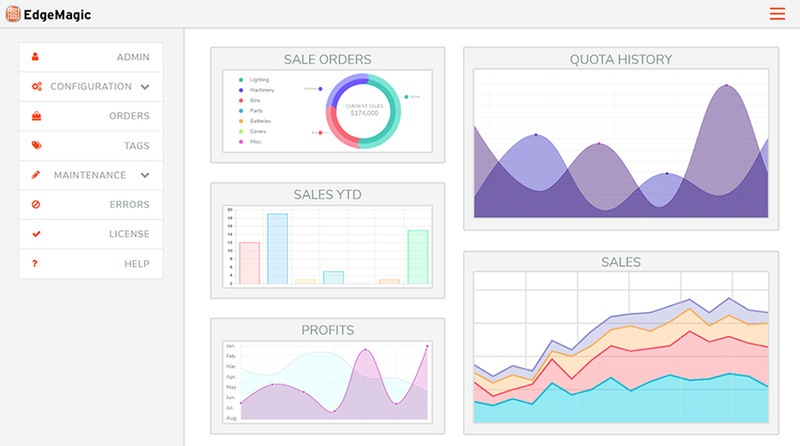 EdgeMagic Dashboards make it easy to visualize RFID tag data in context with your order, production, and sales data. You can analyze performance, spot trends, and act on the improved business intelligence because the RFID data is not on an island – it’s an integral component of your ERP or WMS system. 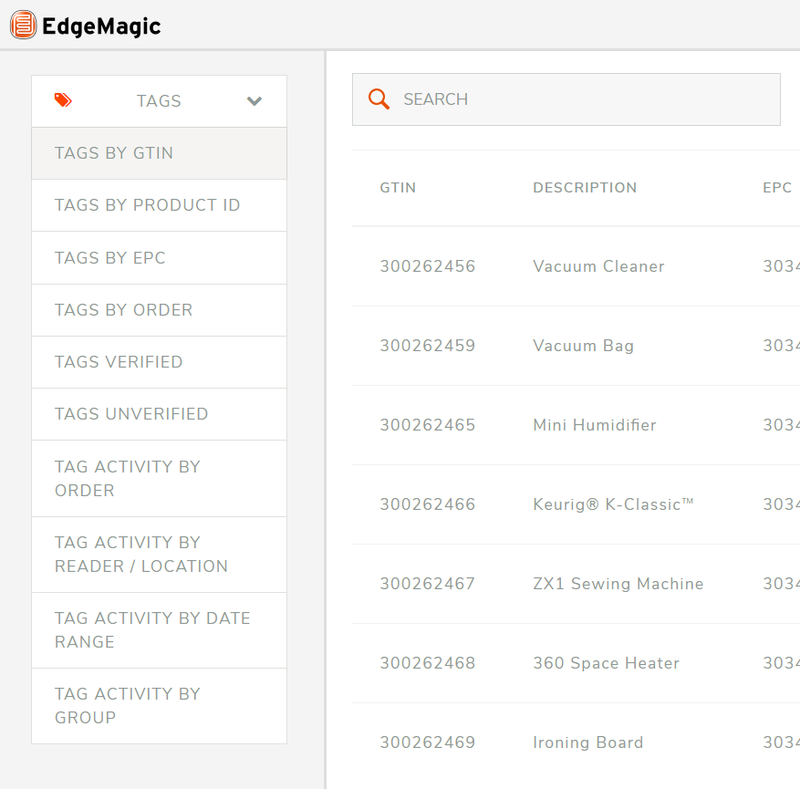 With EdgeMagic, you can search for commisioned EPC tags for any GTIN (Global Trade Item Number). Each unique carton or item tag generated can be easily found and its status determined. End chargebacks and save money with EdgeMagic. 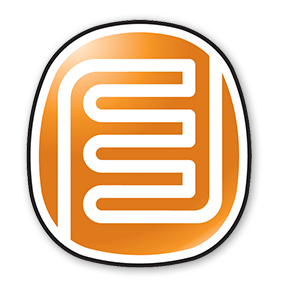 Prove to your trading partner that you read every EPC tag for every line on every folder. Even when you’re not near your work computer, you still need to make sure your business is running. 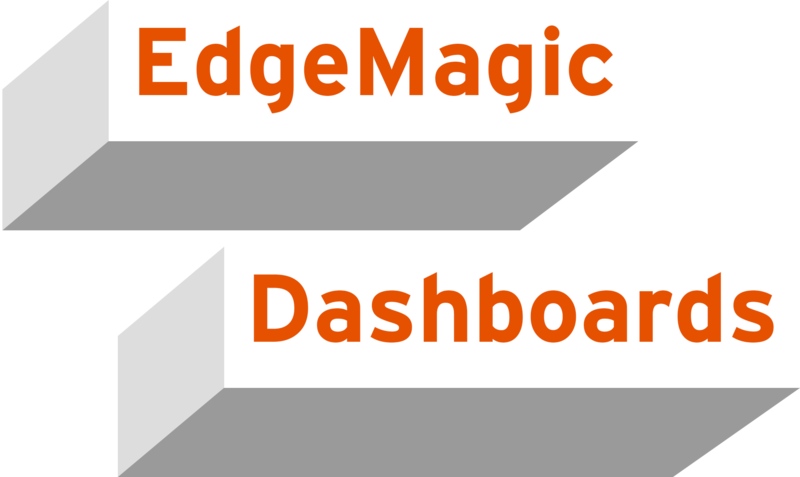 Get access to EdgeMagic’s data interface anytime, anywhere, on any device. EdgeMagic makes it easy to verify RFID tags by product, description, GTIN, URI, EPC, user and other user defined criteria. 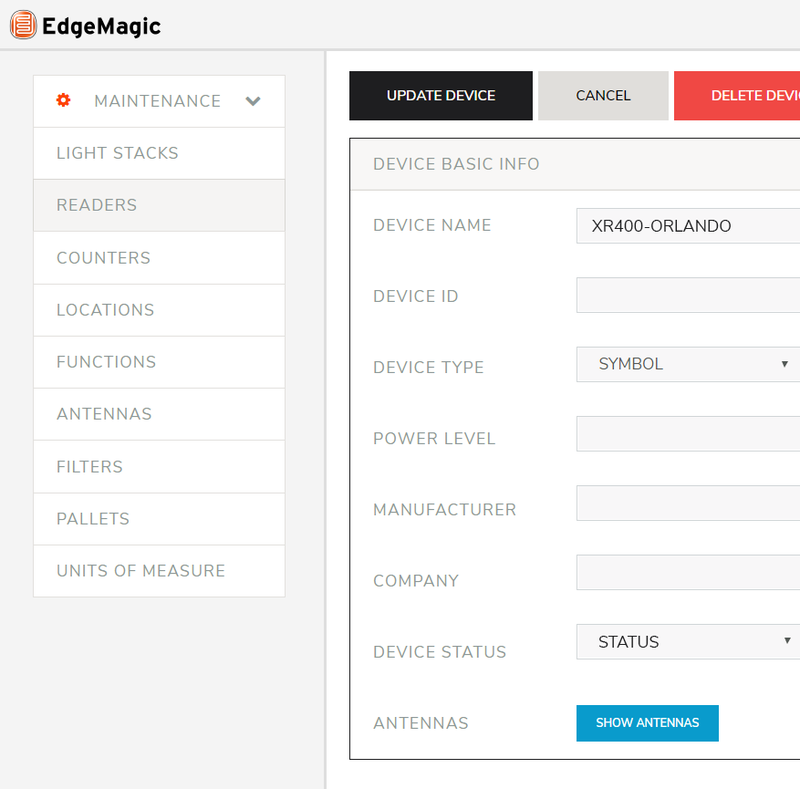 A native System i solution for commissioning, writing, and reading RFID tags, EdgeMagic is designed to manage edge devices, encode and read RFID tags as a stand-alone application or can be fully integrated with System i ERP/WMS applications. EdgeMagic is the world’s only native RFID software that runs on IBM i operating system. No BSOD (Blue Screen of Death). No viruses. No need for PC servers. Simply pick from a list of supported readers, supply an IP address, and you’re ready to read RFID tags. Supporter reader manufacturers include Alien, Intermec, and Motorola. How to knock out outbound shipping errors and expense offsets with RFID. In this webinar, CYBRA’s RFID gurus will discuss the latest order fulfillment techniques that are improving orders per hour by 30%. EdgeMagic RFID software gives you complete control over your tag integration, printing, and formatting, along with offering advanced analytics and integration with any device. 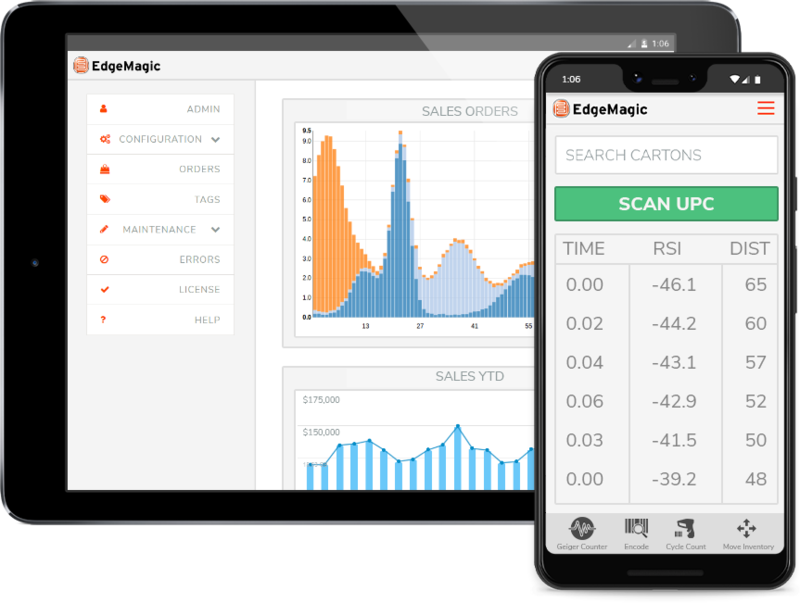 The EdgeMagic Platform provides the full range of features needed for managing EPC compliance mandates, printing, reading and validating RFID tags, integration with ERP and WMS applications and management reporting. Already have an existing RFID software system in place for your business? If you’re just looking to improve how your RFID system runs, EdgeMagic Essentials could be perfect for you. Simply integrate the best features of EdgeMagic through an API. EdgeMagic is fully available on any modern smartphone device. Receive important inventory and product tracking data right to your phone, and never be out of the loop with your inventory and supply chain.  EdgeMagic Mobile Platform includes support for Windows Mobile, Android, and iOS EdgeMagic Apps. Since 1985, CYBRA has been developing and perfecting systems that solve the complexities of inventory visibility and supply chain management. Keep track of reusable bins and equipment. Bulk encoding – run inventory counts in seconds. Contact CYBRA to discuss your specific needs, and to see how EdgeMagic can positively impact your business. Contact CYBRA to discuss your specific software and hardware needs, and to see how EdgeMagic can positively impact your business.